Should You Invest In Gold or Silver, Neither or Both? So writes Russ Koesterich (www.BlackRockBlog.com) in edited excerpts from his original article* entitled Three Reasons Silver is Not The Same as Gold. While silver shares many characteristics with gold, here are three important differences between the metals. Industrial uses make up…40% of silver demand…[while,] in contrast, gold demand is driven almost exclusively by investment and jewelry demand. [Given the aforementioned]…silver tends to be far more sensitive to economic variables, such as industrial production and manufacturing demand, than gold is. At the same time, gold tends to have a higher correlation with monetary variables such as real interest rates, inflation and changes in the value of the dollar. For example, based on annual data over the past fifty years, gold prices have had a 0.5 correlation with inflation, while the correlation between silver and inflation is around 0.35. [In addition,] there is a high correlation between gold’s returns and real interest rates. While the same relationship holds for silver, it is less strong. 2. Silver and gold come from different production sources, which can have an important bearing on their prices. The majority of silver is produced as a by-product of lead, zinc, copper and gold production. As such, there is not as tight a relationship between silver production and silver prices as there is between gold prices and gold production. 3. Silver prices can be more volatile than gold prices, partly owing to silver’s lower ounce value and smaller market size. This volatility can make silver less attractive than gold to some investors from a portfolio construction perspective. So where does understanding these differences leave investors? 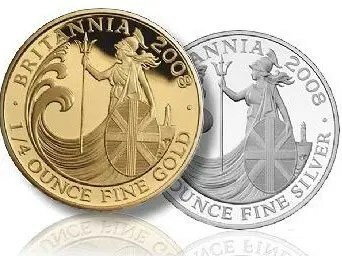 Whether investors should consider exposure to silver or gold, or both, partly depends on why they are allocating to precious metals in the first place. Those investors that view their position in precious metals primarily as an inflation hedge may want to consider gold, which, at least historically, has done a better job of hedging portfolios against rising prices. Those investors that are looking to play a cyclical rebound in the global economy may want to consider silver because silver prices are likely to benefit more from an uptick in manufacturing. 4. Gold:Silver Ratio Suggests Much Higher Future Price for Silver – MUCH Higher! 5. What’s the Difference Between 1 Gold Karat, 1 Diamond Carat and 1 Troy Ounce? 9. Finally! Gold & Silver “Bars” You Can Carry In Your Wallet! Why do viewers still read news papers when everything exists on the net? 1. Silver takes up much more space (should you decide to take possession of your PM’s) than Gold. 2. Selling silver attracts less attention than Gold, since Gold is worth about 65X more. 3. Silver is a better PM to barter with for everyday items that are not very expensive. 4. Silver MAY fly below the Gov’t. radar if Gold ownership is made illegal again in the future. 5. Silver is used in industry much more than Gold. 6. There is large amounts of Gold in seawater which could be tapped in the future. 7. Silver is a superior conductor of electricity, whereas Gold is almost too expensive to use! 9. Silver is the poor man’s Gold, so its value vs Gold, may increase should new investors add PM’s.